Am I a Dental Implant Candidate? Hi, recently I had cosmetic bonding done on my tooth. Now, I noticed that my teeth are a little yellow. I was wondering if I was to bleach my teeth would I need to have my bonding removed? Or is too late? You won’t lighten your bonding with tooth bleaching. You have to re-do it. This is a problem when you go to a dentist who claims to be a cosmetic dentist but doesn’t have the complete training and cosmetic orientation. Dentists who do a lot of high-quality cosmetic dentistry will routinely advise, even urge patients to do tooth bleaching first and then do the tooth bonding after the tooth bleaching. They will match the cosmetic bonding to the patient’s new, lighter bleached shade. My suggestion: Just live with it for now, and then in a couple of years when the bonding is a little worn, check back with us and find an expert cosmetic dentist who can get your teeth looking really nice. By that time, dental insurance will probably cover the replacement bonding. With most dental insurance plans, replacement of worn dental work is covered under the contract, even though the original placement of that work may not have been covered because it was for cosmetic purposes. The expert cosmetic dentist will bleach your teeth first and then do the tooth bonding second. Click here for referral to an expert cosmetic dentist. Click here to ask Dr. Hall a question. This content was written by Dr. David Hall. Does bleaching damage your teeth and gums? How good are over-the-counter whitening products? Can I whiten my teeth while pregnant or nursing? 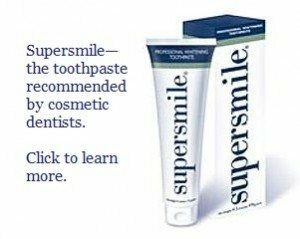 Can you bleach teeth with tetracycline stain? Can you whiten porcelain veneers? What if bleaching makes your teeth sensitive? Infinity Dental Web can take your online marketing to a higher level. We understand dentistry because we’re run by a dentist. Visit www.infinitydentalweb.com to learn more. Read our blog to learn more about cosmetic dentistry. You’ll find questions asked by visitors that are answered by Dr. David Hall.